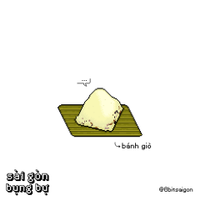 Written by Saigoneer. 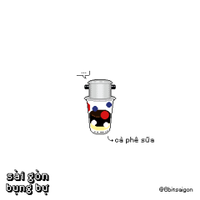 Illustrations courtesy of 8-bit Sài Gòn. 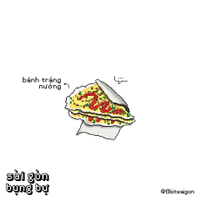 Saigon’s street snacks always look mouth-watering in any form. Imagine this: the clock hits 3:30pm, you’re at work and suddenly feeling peckish. It’s too late even for a late lunch but too early for dinner. You’re not hungry enough for a full bowl of phở but the free chips in the office pantry aren’t going to cut it. It’s time for street snacks to shine. Just make an excuse to go to the bathroom, hit the streets and there, right in front of your hungry eyes, is a food paradise. 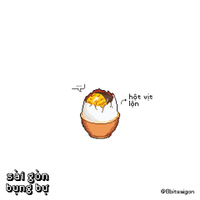 We have previously featured 8-bit Sài Gòn, a tiny project by a Saigon-based graphic designer who turns our city’s most humble objects and scenes into adorable works of pixel art. The page’s illustrations hit all the notes in terms of nostalgia and urban landscapes, especially for millennials who spent much of their childhood obsessed with games on Nintendo consoles and their 8-bit art style. 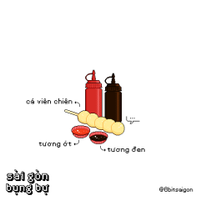 This set of new illustrations by 8-bit Sài Gòn is titled “Sài Gòn Bụng Bự,” meaning big-bellied Saigon, a fitting name for its depiction of street-side munchies. 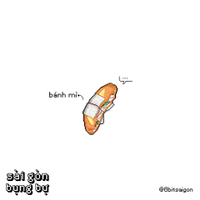 Bánh mì, bánh giò and tubes of frozen syrup are all great cures of midday hunger. 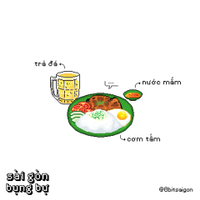 What makes these illustrations pop is the designer’s attention to detail: these treats are uniquely Saigon creations, from the iconic plastic trà đá glass with a handle to the layers of toppings in the bag of bánh tráng trộn. 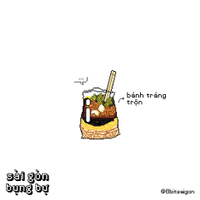 - [Illustrations] What If Saigon's Street Vendors Were in an 8-Bit Nintendo Game?